Set in the heart of downtown Manhattan, this hotel is just minutes away from the city's most popular sites including Battery Park, Brooklyn Bridge, 9/11 Memorial, museums and much more. Guests can stay stylishly in one of 128 modern rooms, unwind on the outdoor terrace, and step out to explore many renowned attractions. 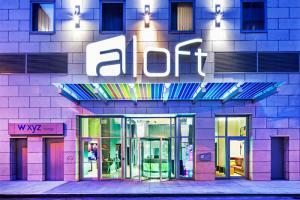 This hotel offers easy access to the entire area, including shopping, dining options and the South Street Seaport.